Jan. 14, 2017, 5:48 p.m. There are a few bridges that I ride, that don't see enough use, and have become quite slimy and dangerous. Is there a definitive method to remove the slime for more traction here on the wet coast. With slabs and canoes its easy to use the saw on them, but with vertical grain cedar rungs? -Wire wheel on cordless drill?, Never tried but doesn't seem like it would work as I doubt any material would be removed. - Chainsaw?, Maybe but look out for spikes! Jan. 14, 2017, 5:58 p.m.
i've been wondering this same question for awhile. This is one thing that ive been wanting to try out but haven't gotten around to it. Thinking a cordless drill could run it pretty easily. Jan. 14, 2017, 6:28 p.m.
another option might be landscape cloth, side rails and gold to make a dirt topper. more work in short term but if the area sees little traffic might make sense in the long run? never have to worry again about slick-like-ice wood. unless it's steep in which case the dirt would tend to wash out. Jan. 14, 2017, 6:35 p.m.
Jan. 14, 2017, 7:51 p.m.
you could also use a cordless grinder, but you go thru batteries quick. it really depends how much bridge needs to be cleaned off. if it's just a short section the a cordless grinder with a wire cup brush would work great. a wire wheel or similar attachment would be a waste of time imo because it's not going to have enough power or speed to do the job. Jan. 15, 2017, 12:58 p.m.
i have built a couple bridges like that using only branches instead of landscape cloth to hold the dirt in place. one on the bottom of a jump and no one even knows it's a bridge. i would think that the stingers might rot faster using branches but you should still get decent life span out of it. Jan. 16, 2017, 5:15 p.m.
That may work in removing some material (cedar,) while retaining the rough surface. I think my drill would have no problem with that. Good idea. The bridges are not on trails that I maintain, so Id like to try to clean them first. I have found that dirt bridges with just a very little grade, or if riders use the rear brake on the bridge dirt can be removed. Cross pieces every foot or so could possibly help reduce the loss of dirt. Wouldn't the wire cup brush smooth out the rungs too much. Looks like it works great with a DA and generator on slabs. Nice! For some reason I'm not seeing the two pictures. 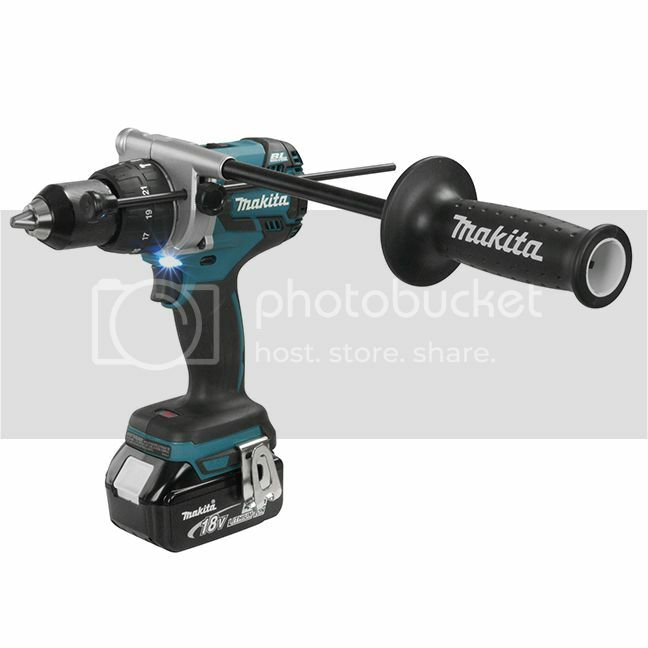 I have Makita's most powerful cordless drill. Maybe Ill find the coarsest wire wheel and give it a go. Jan. 16, 2017, 6:46 p.m.
i was worried about that too at first, but then you think that after a couple of years of traffic rungs get smooth anyway. as long as the wood is clean of slime, even smooth wet cedar still offers tons of traction. i've used a cup brush, a knotted cup brush and a knotted wheel and they all have their pros/cons but i would say that the knotted cup brush works the best and it does tend to leave the surface a bit rougher than the other ones. Jan. 18, 2017, 6:31 p.m. 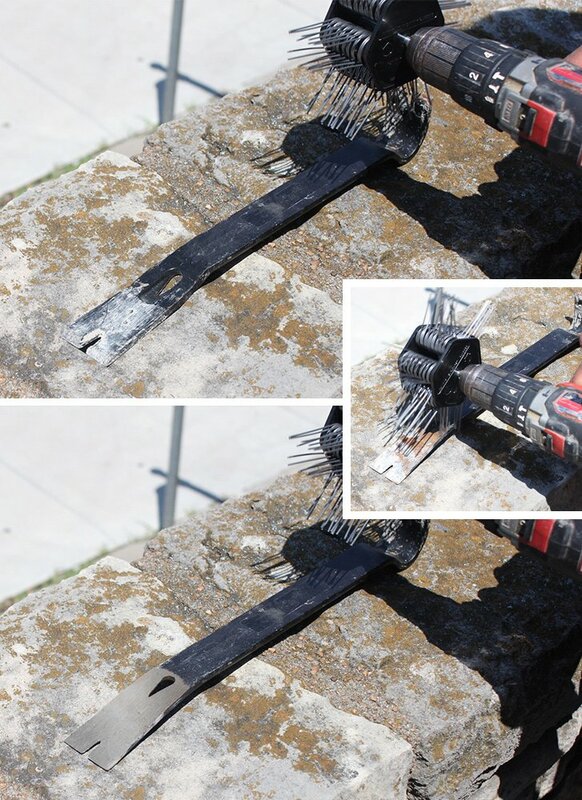 I have looked at summit tools and princess auto for a suitable dumbing down bridge brush, and have found that all the brushes with a drill arbor like in Bryans pic are quite small, not what I was looking for, may or may not do the job. However there are many larger, coarser brushes that are made for angle grinders or DA's like in Syncros video that would have a much better chance of stripping the scum. Unfortunately my cordless grinder shuts itself down with very little load so I cant use it and there is no chance of getting my eu 2000 up there unless I hire some sherpas. Not sure where to proceed. Might look for a way to get the grinder brushes on my drill. I could not see any attachment while looking. Jan. 18, 2017, 7:10 p.m.
which cordless grinder are you using? i had pretty good success with the knotted cup wheel on my 18V dewalt, but you need to have a number of extra batteries to get a significant amount of work done. i'm thinking of spending the $450 or so on the new dewalt 60V to have more power/run-time. the nice thing about packing the genny in tho is that you can clean off a lot of material over the course of a day. if it's just one bridge of say 20ft or so then the dewalt 18/20V with three or four 4amp-hr batteries should be enough to get the job done. if you only have two of the bigger batteries then it just means a couple of trips, but at least you can throw it in your pack and take care of it on a ride. Jan. 18, 2017, 7:40 p.m.
Like most architectural millwork installers, I'm a Makita man. The grinder is about ten years old and has always shut off with little load to save the motor. Maybe they come with stronger motors now? I have 8 battery's, half 3 amp, half 4 amp. Maybe Bryans brush might be worth a try. Those new Dewalts look pretty sweet. Jan. 18, 2017, 7:45 p.m.
strange, those makita's should have no issue. if your batteries are old that where the issue may lie in that they simply can't supply enough current to run the grinder properly. it may be worth taking it to a service depot to get the grinder and batteries checked out to see what the problem is. Jan. 18, 2017, 7:46 p.m. The Milwaukee 18 volts a re really powerful. ..use them at work all the time for grinding and cutting that most would use a corded grinder for. Jan. 18, 2017, 7:51 p.m. Battery's are ok. The new makita brushless grinders look nice! The three brands are pretty equal with pros and cons. All the sparkys seam to use the millwalkee. If I was starting now I would look at them but I'm about 15 cordless tools invested in Makita and very happy with them…..
Jan. 18, 2017, 8:21 p.m. If you ever need a new battery, an obsolete battery or maybe an old one rebuilt, you can take it to Interstate batteries at 20148 102 avenue Langley. They do most of the brand names. I have an older Milwaukee 14.4 cordless kit. The batteries were done and I didn't want to buy an all new kit, so I got them to rebuild a couple of the old batteries. (No, I don't work for them, lol) Edit; You can't beat Makita grinders, They are bullet proof.